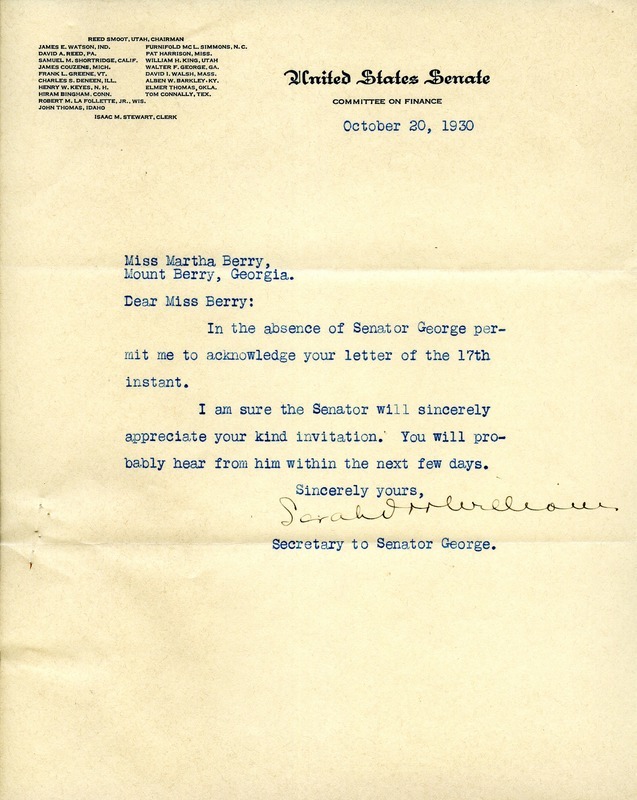 Mr. Walter F. George, “Letter to Martha Berry from the Secretary of Walter F. George.” Martha Berry Digital Archive. Eds. Schlitz, Stephanie A., Sherre Harrington, Chelsea Risley, Emilee Sargent, Amanda Mays, et al. Mount Berry: Berry College, 2013. accessed April 21, 2019, https://mbda.berry.edu/items/show/12620.